So, who is displaying misleading images? 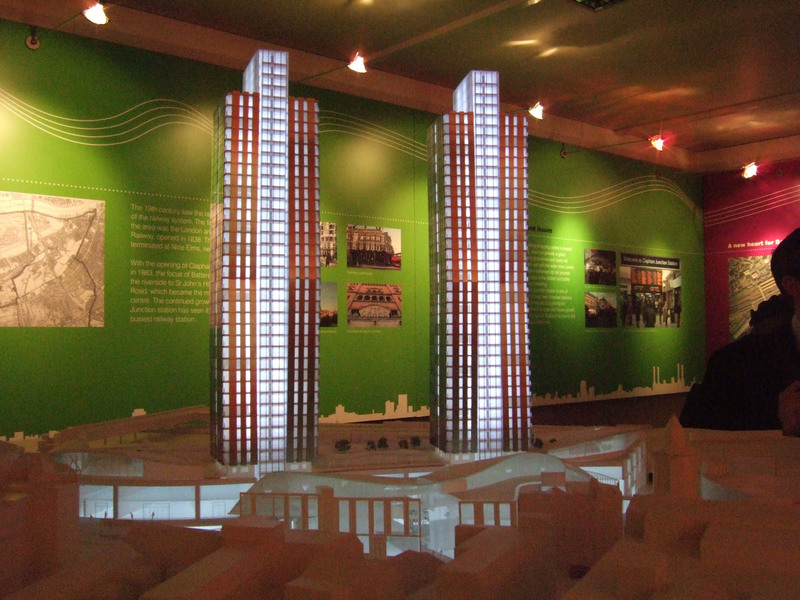 There are a number of images which have been generated of the scheme, including views of the tall buildings from near, middle and far distance (indeed one of the earliest images released showed the towers in their entirety at sunset). Not every poster will show all images, and furthermore Metro have the right to display the proposals in their best light. 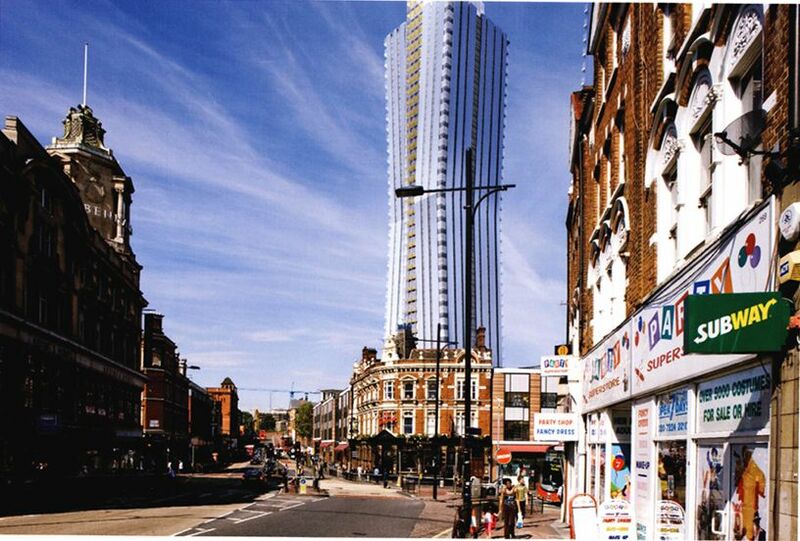 I find it inconceivable that anyone commenting on the scheme at this stage (whether for or against) could be unaware of what the Clapham Junction redevelopement would entail. This is due not only to your endeavours, but primarily Metro’s own extensive consultation programme and Wandsworth Council’s own consultation. Your continued insistence that legitimate, extensive efforts to garner support (as legitimate and extensive as your opposition operation) amount to ‘tricks’, is not worthy of your campaign. Brendan> According to most objections received by the Council after your latest issue of the “Beat”, it seems that most people won’t agree with you unfortunately. And I bet that some might be surprised to read that according to you their knowledge on the proposal “is due primarily [to] Metro’s own extensive consultation programme”. Speaking personaly,a long time ago, I went to the small display on show behind the station which wasn’t well advertised and was closed at the times when most people were using the station and was only there for a few hours and for about 4 (if that) days. I made horrified comments at the time and asked questions. 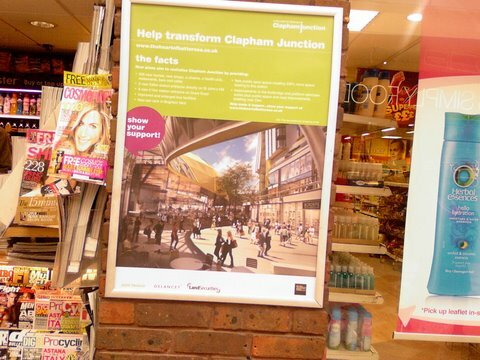 A very, very long time later, simply because I was waiting for a friend at the station, I spotted Wandsworth’s poster behind me with what I think are very flattering, understated pictures of your scheme. I was totally taken by surprise and hastily made it my business to find out what was going on and make sure I broadcasted the information as quickly as possible to eveyone I knew. I rang the Council and complained the lack of information Battersea residents had been given, talked to Mark Hunter and was horrified to suss out what sort of deal was being proposed. We certainly saw no sign of an ‘extensive consultation programme’. Why don’t you produce some designs that the community will be in favour of? 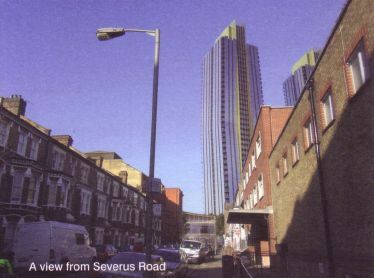 The only reason anyone would put up with your designs is because they would like improvement at ANY price…it is not because anyone WANTS ugly tower blocks. But most people are not that desperate and as you can see they will fight for as long as they have to get you to change your plans. 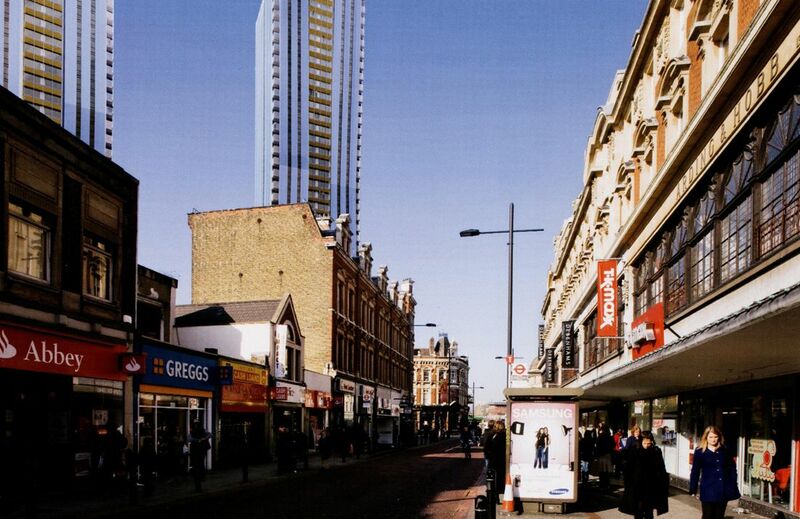 The station is Network Rail’s responsibilty; any other development should be viewed as a separate item.